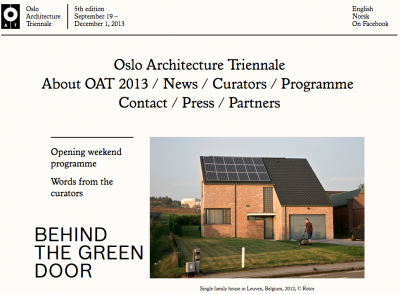 lablog is going to Oslo Architecture Triennale (curated by ROTOR) and will be there from 26 to 30 September. All lab-int students are invited to join. Meeting point either Thursday morning at DogA (h 10:00), either in the afternoon at AHO (h 14:00) to join the discussion “SUSTAINABLE DISCUSSIONS: CUSTOM MADE”. 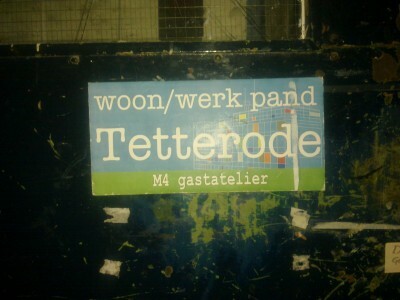 Lablog has been guest at Tetterode M4 space for some days: an incredible place of inspiration and production in Amsterdam. Have a look at some pics here. Iglesia de San Pedro Mártir, Madrid, 1960, a set on Flickr. 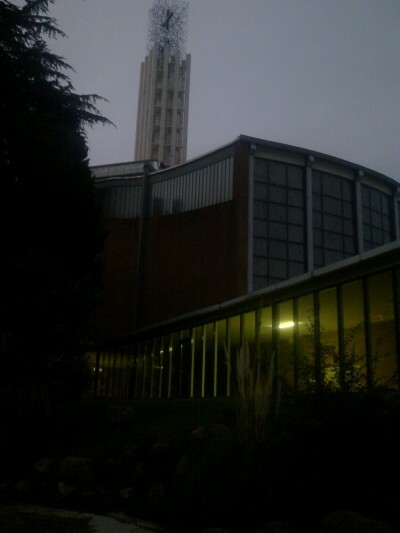 Convento, teologado e iglesia de San Pedro Mártir de los PP. Dominicos. Autovía N-I, km 7-7.300, SanChinarro, Madrid, 1955 (P) 1959-1960 (O). Madrid NOV2012: from Porta Toledo to Lavapìés. 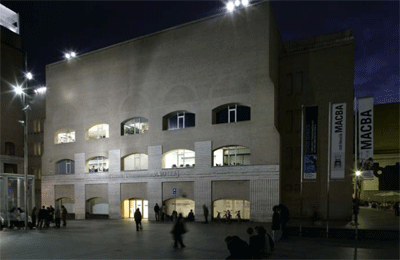 You find: a service building with a clear distinctions in materials used to cover the different sides (included the roof); the Lavapies Library and the UNED residences by Linazasoro; the Centro Dramatico Nacional. Madrid NOV2012: from Porta Toledo to Lavapìés., a set on Flickr. Posted in trips&travelling | Comments Off on Madrid NOV2012: from Porta Toledo to Lavapìés. This is the walkabout of Porta Toledo in Madrid, on a Sunday during the ‘El Rastro’ market, in November 2012. You find: an incredible market building partially used as antiquity shop & university! an amazing housing block all jacked with gold aluminium on the front; a public library emulating Asplund masterpiece in Stockholm; a non-identified block all carefully stone jacked. Walking around Porta toledo, Madrid, NOV2012, a set on Flickr. A new page is born: architectural guide google-maps [archi-maps]. It collectes links to maps edited by lablog or by lablog network. You are wellcome to contribute: send your proposal for a google-architectural-map and we will evalutate if to share it within our blog (mail at lablog dot org dot uk). The current Open Call for proposals for the lobby of the MACBA Study Center in Barcelona takes place within the context of MeLa-project. The workshop is open to all students of POLMI (Architecture, Design, Urban Planning) enrolled in the Master level (4th & 5th year of study). And it takes place every Monday morning (9.30-12.00) from 10 OCT to end of January in ‘aula C’. Students are invited to present their portfolio during the first meeting: the workshop staff will proceed to make the selection by the end of the day. Attending the WS (that mens arriving at the deliver of the project for the competion in group with other students) will give 4 ECTS. 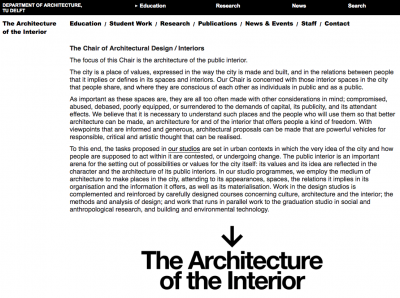 The same for students regularly enrolled at the Interiors course (2nd and 3rd year of BA). Lablog in Madrid: post nr. 300! Madrid, 19-22 May: flight&accomodation on students’ individual responsability. Posted in lab-INT#1/2011, lectures, news, trips&travelling | Comments Off on Lablog in Madrid: post nr. 300! 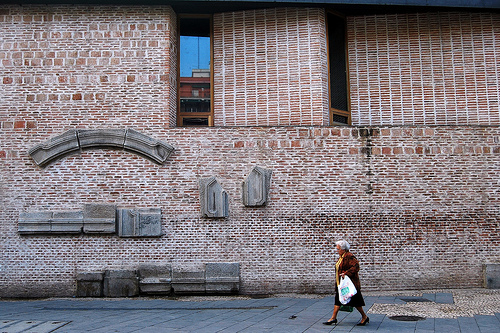 Following a list of buildings & places among which we will choose our ‘targets’ (thanks to Enrico Forestieri, a POLIMI student ‘active’ in Madrid: he will be hopefully our stalker). Details for the first meeting on Friday morning at 9.00 will follow later. 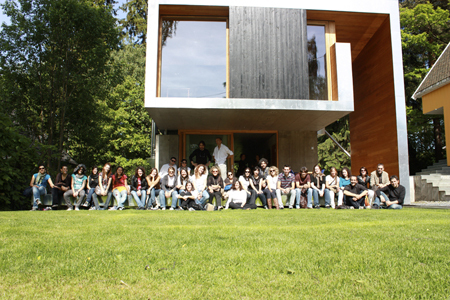 Finally, after a month we are ready to share some of our pics taken during the study trip to Oslo (27/05-02/06 2009). 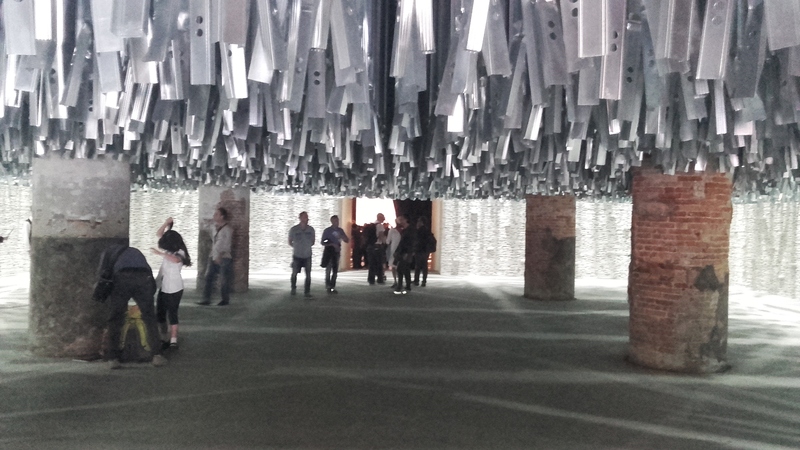 What as been peculiar in this experience, compared to other similar trips, it was the opportunity to meet the architects authors of the works visited in their own studio and having them tutoring around. Moreover, the authors also introduced themselves through a sort of lecture where presented their work and thought. During the few, and intense, days we had the chance also the experience the long daylight, the incredible warm sun and the picknic in Wigeland Park, with wine beer barbecue and the beautiful viking girls and boys: unforgettable! The galleries were arranged by Claudia Brunelli, Rossella Destefani, Margherita Parati starting from student shots: actually it is not always very clear the selection criteria in terms of sequence and of content but so far it all we have. The storeybord is by Gennaro Postiglione.